The 369 day series kicks off on Friday, December 30th, and runs DAILY until Monday, January 2nd, 2018!!! Bookmark this page NOW ... and please make it a point to check it first thing every morning. And, if you haven't already done so ... and you want to receive the bonus material via email ... drop me a line NOW and have us add you to the 1967 List. Have a wonderful Christmas and a awesome new year, my friend! Man what a big surprise! Thank you for voting our show at Ron Onesti’s Arcada Theatre the #8 Best of 2016. I am really honored for the recognition given to Chris and me for our show. We love what we do and it is much appreciated. As Chris Montez’ manager, I want to thank you for picking the show with Chris Montez and Tommy Roe as one of your tops in 2016! Tommy and Chris are honored to be in this list ... and yep, its a killer show!!! Hope to see you again ... with the BOX TOPS or on Happy Together. I think my favorite concert was Cat Stevens at NY's Beacon; second, Peter Gabriel / Sting at MSG. Featuring Herman's Hermits Starring Peter Noone, The Grass Roots and The Buckinghams!!! Why not start out the new year with a night filled with feel-good music! ALL these guys put on a GREAT show. Enter online now (at either forgottenhits@aol.com or kk@forgottenhits.com) ... and we'll pick the winners on January 10th. Three lucky winners will each win a pair of tickets (donated by the artists themselves!) to see this great show! I was a deejay at a Florida top 40 station in 1967 before Uncle Sam sent me to Great Lakes and then to London, England. A personal favorite forgotten hit from that great year is Georgia Pines by Roy Orbison's backing band, The Candymen, several of whom formed the more successful Atlanta Rhythm Section. Please add me to your 1967 list. I was just reading all about The Atlanta Rhythm Section in the brand new Jeff March / Marti Smiley Childs book "Where Have All The Pop Stars Gone", a fascinating behind-the-scenes look at some of the most popular artists of our time. If you're into the music of this era, you will enjoy ALL of the books that make up this series. I graduated from high school in 1967 ... Career Academy School of Famous Broadcasters in '68. (I was never one of the "famous" graduates) and am stuck in the 1969 to 1972 era ... so please add me to the 1967 Mailing List. "Forget-Me-Nots" are never to be overlooked. Of course it's already old news by now but The Rock And Roll Hall Of Fame has announced their Class of 2017 Inductees. Not a bad group of inductees as things go ... Journey was one of those that nobody thought would ever get in ... while Yes and The Electric Light Orchestra get LONG overdue acknowledgement for all that they did to advance this thing we call rock and roll. And honestly, despite all the bitching (mine included), we have made some headway these past ten years. I took a look at the very first "Deserving And Denied" list we made back in 2007 and see that a number of these acts from the original Top 40 (and honorable mention list) have now been recognized and inducted by The Rock And Roll Hall Of Fame. As many of you know, Steppenwolf was nominated for induction into the Rock n Roll Hall of Fame. However, the final votes are now in and The Wolf did not make it. Well, so it goes, nothing to complain about. I am told that The Wolf received around 110,000 votes from our fans. Many - and you may be one of them - went to the RRHF website and voted every day on our behalf. Well Steppenwolf and I owe you a great big THANK YOU for your loyalty, support and dedication to our band ... may the new year be good to all of you. I'd also like to express my appreciation to whoever at the RRHF was responsible for our nomination in the first place. The Summer of 2017 will mark the 50th anniversary of the formation of Steppenwolf. During the Summer of 1967 five young Blues Rockers got their act together in the Garage at 7408 Fountain Ave in LA, a rather humble beginning. But from there The Wolf moved on and soon scaled the highs of the Rock n Roll pinnacle. During the following decades there were triumphs and failures, many highs and some lows, but our friends and fans stayed with us through up and downs and continue to support us to this day. While a RRHF induction would be nice, first and foremost in importance is The Wolfpack. Without the Pack Steppenwolf would have faded away years ago. Me-TV-FM is up a couple more points in the latest ratings just released this week. They've now pulled ahead of WLUP and WLS-AM. Their holiday special, The 100 Greatest Christmas Songs Of All-Time, begins airing at 8 am on Christmas Eve. A suburban Chicago tradition dating back to 1995 continues. “A Hometown Holiday” airs Christmas Day, 7 am - 4 pm, on WLTL-FM 88.1 and streams at wltl.net. 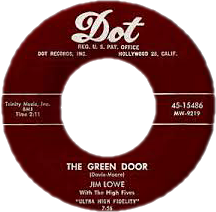 Mike Baker And The Forgotten 45s hosts the annual Christmas special with favorites from the golden age of top-40. One of MY favorite radio features is The Drive's A to Z, which kicks off again at 6 am the day after Christmas, Monday, December 26th. This time around it'll run daily for over a week between 6 am and Midnight, giving listeners a chance to hear more of their favorites. This is always a fun listen, partly because you never really know what song is coming up next (although it's just as much fun to try and guess what it might be, since they are, after all, played back-to-back alphabetically!) Plus you'll hear a number of tracks that don't always necessarily get played together ... that's the great thing about this context ... a WHOLE lot of surprises along the way. A real "Theater of the Mind" Song! Listening to it once again after all these years, I can still visualize in my mind the back of a gloomy building in a dimly-lit, shadowy alley with a worn, nondescript door whose very dark and dingy Green Color is hard to distinguish. I still can even imagine what must be going on "be-hind the Gre-e-e en Door!" What a uniquely different and well written crazy fun song! Thanx for including it! The Astronauts were a Huge Local Group in Denver, originally forming while its members were attending Colorado State University in Boulder, Colorado, only about 30 miles away. As Denver University students, we used to spend many weekend nights driving up to a small club in Boulder called "Tulagi's" where they often presented their high energy and highly entertaining shows. 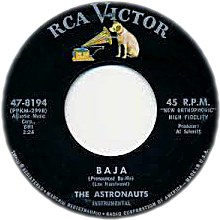 The Astronauts were so popular that when they released their first major label song (on RCA), we at KIMN in Denver immediately began playing it. Surprise! Surprise! It became a Number One song on the KIMN Hit Parade!" 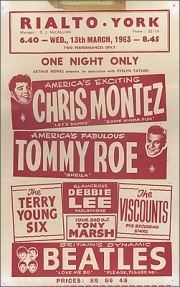 So in the Summer of 1964, a year after "Baja," I booked them into Rapid City for one night, billing their appearance as "The Biggest Show and Dance" to hit the Black Hills area! And it was! A huge, sell out night at the unusually large, hanger sized "Pancake House" that was closed down for the evening to allow me to stage the event, which was attended by some 2,000+ high school and college kids from all around the area! Whew! Big Fun for this College Guy! Here's a little something for you to share for Christmas ... I just think this is so cool! The video of Elvis is from his “Comeback” special in 1968 (when Martina McBride was actually just around two years old! ), combined with a special video she made 40 years later just for this collaboration! This is my favorite Elvis Christmas song. I'll Have a Buell, Buell, Christmas without you . . .
After playing 50 different Monkees songs over the past seven months, across 66 concerts in four countries (covering 30 of the 50 United States, Canada, New Zealand and Australia); a top ten pop album (Good Times!) - their first in 20 years, which generated some positively stellar reviews, including Rolling Stone; being joined by Michael Nesmith in several of the shows (he elected to skip the tour); their tour ended last week in Australia. 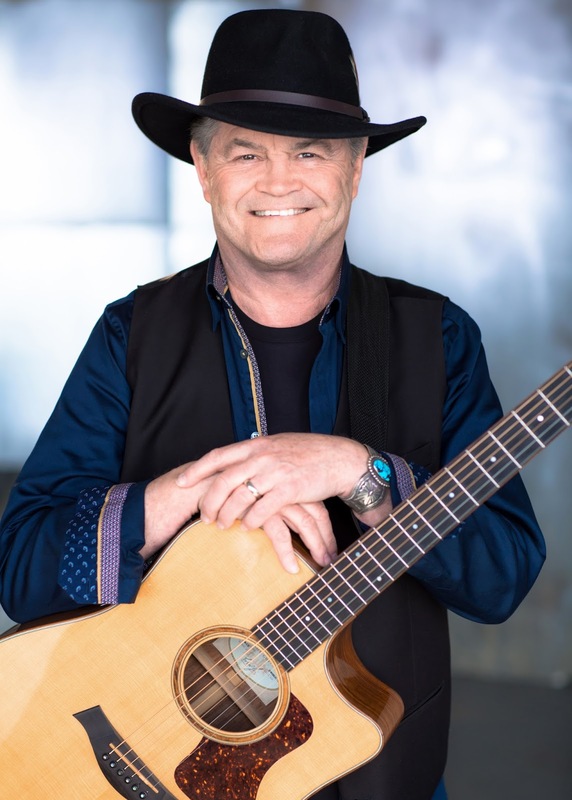 Now back in the U. S. Micky Dolenz already has a full slate of activities for 2017, including a return to NYC’s Feinstein’s / 54 Below in March - where he recorded his last solo album "A Little Bit Broadway; A Little Bit Rock & Roll". His sister Coco (who has appeared on the 50th Anniversary tour as well) will also have her own show during his run. He'll also be a featured guest Bill Kurtis’ Decades program in January. Below is the summer schedule for the summer shows in Elk Grove. KILLER LINEUP FOR THE 4TH! The next three concerts are at the Village Green at 7:30 pm. I'm a little surprised by this year's line-up ... normally Elk Grove pulls out all the stops and brings us some top notch acts ... but this year you can go see Ambrosia (without the guy who sang all their hits), Orleans (without the guy who sang all their hits), The Guess Who (without the guy who sang all their hits), Creedence Clearwater Revisited (without the guy who sang all their hits) and Kool and the Gang (without the guy who sang all their hits)!!! I've gotta be honest with you, I'm finding it hard to work up much excitement for this list! Can anybody explain how this works? Very interesting. Once the system loads, you click the geographical area and the participating online stations are listed. Click one and it starts an instantaneous stream. I think you have found something there, Chris! Happy Holidays! Forgotten Hits is a Daily Read! Also, I wanted to let you know that Geoffery Mortimer, Bass Player for the British Pop Group, The Hullaballoos, passed away on Saturday, December 17, 2016, after a long battle with cancer. The Hullaballoos charted two singles in the U.S. (Buddy Holly’s “I’m Gonna Love You, Too” and “Beware”.) The group released two LP’s on Roulette. He died in his hometown of Hull, UK. They're just no longer "Happy". 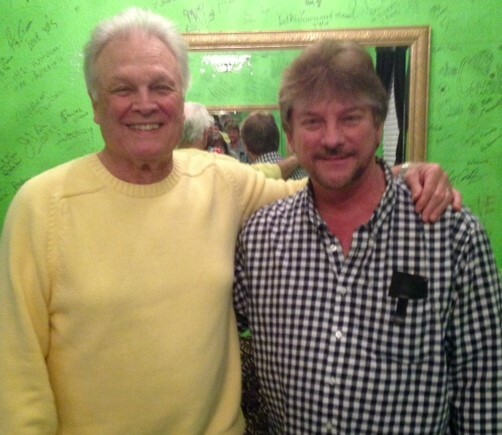 A Salute to The '60's ... And Another Great Forgotten Hits Tickets Giveaway! What a great way to start the new year!!! This is your chance to see three of the Top Acts of the '60's, live in concert, at Star Plaza in Merrillville, Indiana, on Saturday, January 21st. We're talking about The Buckinghams, The Grass Roots and Herman's Hermits starring Peter Noone ... it just doesn't get any better than this!!! Between them, they had over FORTY TOP 40 HITS, including classics like "Kind Of A Drag", "Don't You Care", "Mercy, Mercy, Mercy", "Hey Baby, They're Playing Our Song", "Susan", "Let's Live For Today", "Midnight Confessions", "Two Divided By Love", "Sooner Or Later", "Temptation Eyes", "I'm Into Something Good", "Mrs. Brown, You've Got A Lovely Daughter", "Silhouettes", "I'm Henry The VIII, I Am" and "There's A Kind Of Hush". Get your entry in NOW!!! Drop me an email at either forgottenhits@aol.com or kk@forgottenhits.com and we'll throw your name in the hat! We'll draw the winners on January 10th ... and see YOU there at this very special concert event. Of course by January 21st, we'll be deep into our brand new 1967 Series ... but all three of these acts played a major role on the charts that year. Raunchy humor set to song ... cool little video clips ... we've loved these gals for awhile now so seeing them live was a real treat. Go to YouTube for a taste of what this was like. We had a blast! But Jim challenged me to come see the show live and see if I still felt the same way afterwards. 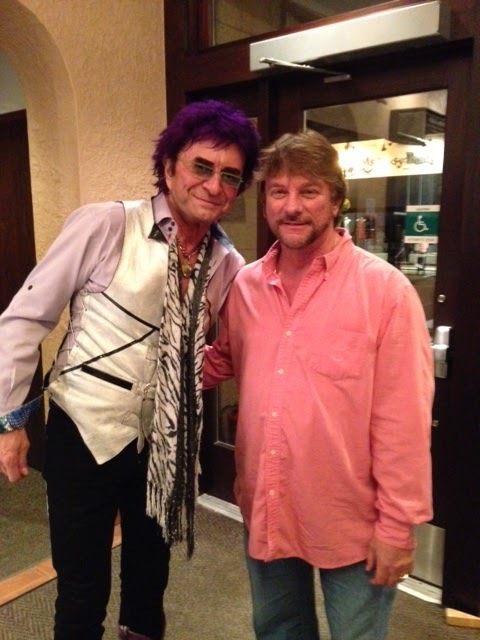 And I've got to say, he convinced me ... the live show was outstanding ... a whole lotta fun ... and I've listened to his new CD with a much better appreciation ever since. More fun-time rock and roll by a couple of veterans who haven't seemed to age a day over the past fifty years! Tommy's new book "From Cabbagetown to Tinsel Town" is available now ... and we had the chance to interview him before the show, too. After all the bad press Peter Cetera received for his comments and behavior regarding Chicago's induction into The Rock And Roll Hall Of Fame (admittedly some of it directed by us), it was a joy to see him perform in concert on The 4th of July in Elk Grove this summer. A stellar show from start to finish ... and one we would gladly see again. Accept the parting of the ways ... we'll gladly go see Chicago again, too ... and enjoy the show(s)! Another group we have always wanted to see, these guys rocked the house when they took the stage at The Arcada Theatre this year. While I primarily only knew the hits, they played enough other material to capture my interest and curiosity and, as such, I dug a little deeper into their catalog and discovered quite a few "new" gems along the way ... a rockin' good show. 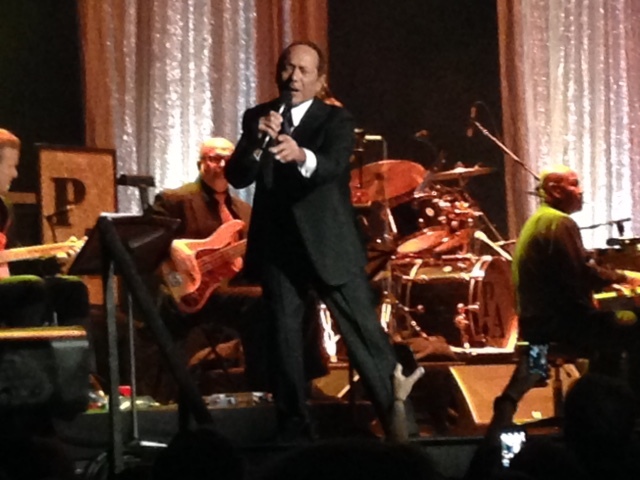 Las Vegas came to St. Charles earlier this year when master showman Paul Anka took the stage for a sold out show at The Arcada Theatre. But Anka (his voice stronger and richer than ever!) blew us away from start to finish. A top notch show. These guys have made the list the last two years, typically ranking 1st or 2nd in the final standings. I have never seen them put on anything less than a stellar show. Now that doesn't mean that they haven't performed it to perfection ... they have ... but it may be time to "stretch" a little bit as they, too, sell out every time they come to town and a good percentage of their audience is "repeat business". Probably the finest overall musicianship on this year's list (and yes, that means I'm ranking them ahead of Toto! ), these guys can do it all ... so why not challenge yourselves a little bit more and do maybe another album medley of sorts next time around. ... but essentially it tells you the same thing we did in both 2015 and 2014, where they ranked at or near the top both years. An absolute MUST SEE if you've never had the pleasure ... and I'm quite sure we'll go back and see them EVERY time they appear ... because these guys will truly blow you away. Another one that really surprised us. So we were a bit apprehensive about what these guys would sound like without him onboard. The surprise appearance by The New Kids On The Block at the end of the show was an unexpected bonus ... this isn't the kind of thing that typically happens in Chicago ... this is more of a New York or LA thing!!! It was great ... and the audience loved it. Definitely on our "let's see them again" list! Last year we called The Marty Grebb Benefit Concert the Second Best Show we saw in 2015. While essentially this is much of the same line-up, this act is ready to hit the road now that "Cornerstones" is airing nationwide on PBS stations all over America. The "Rock Of Chicago" is alive and well ... and being heard from coast to coast! Yes ... this was the BEST show we saw this year ... and nobody could be more surprised than me! Being huge Jeff Lynne fans, we've been waiting for him to tour The States again with his latest version of ELO ... especially now that he's released a new album. But until then, we decided to check these guys out ... all former members of Electric Light Orchestra at some point ... and they did an INCREDIBLE job of recreating the sound of this classic (and soon to be) Rock And Roll Hall Of Fame inducted band. Check out their touring schedule to see if they're heading out your way in 2017 ... DEFINITELY worth your time! So there you have it ... our Top 20 Concerts of 2016. But remember, he is booking new shows WEEKLY so be sure to check back often!